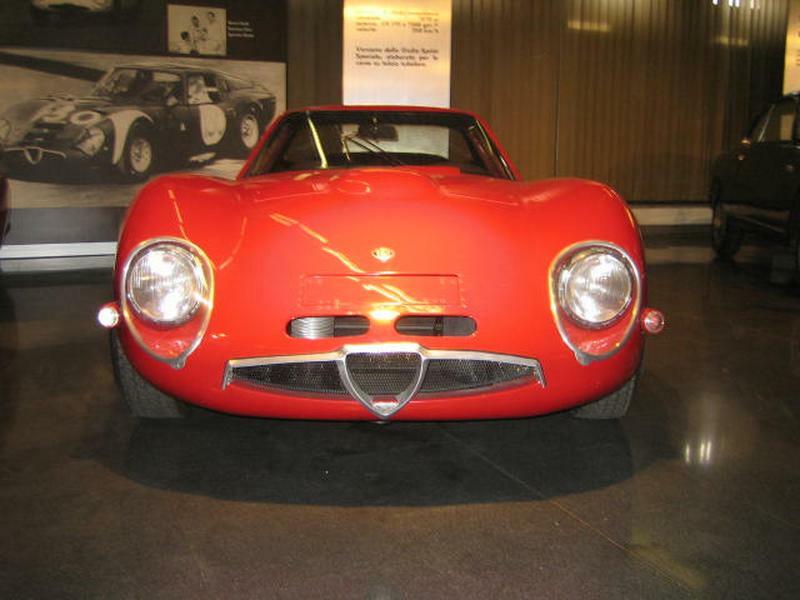 The TZ Giulia or Tubolare Zagato is one of the most sought after post war Alfa Romeos. It's racing successes and the stunning GTO looks assure its desirability. 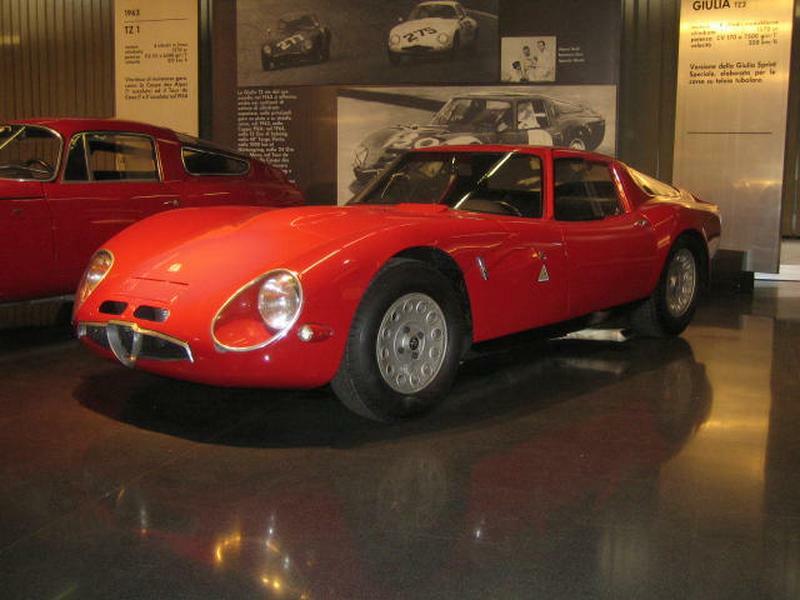 First conceived in 1959 using the yet unannounced Giulia engine, the car was to dominate its class of racing until factory support was transferred to the Giulia GTA's. 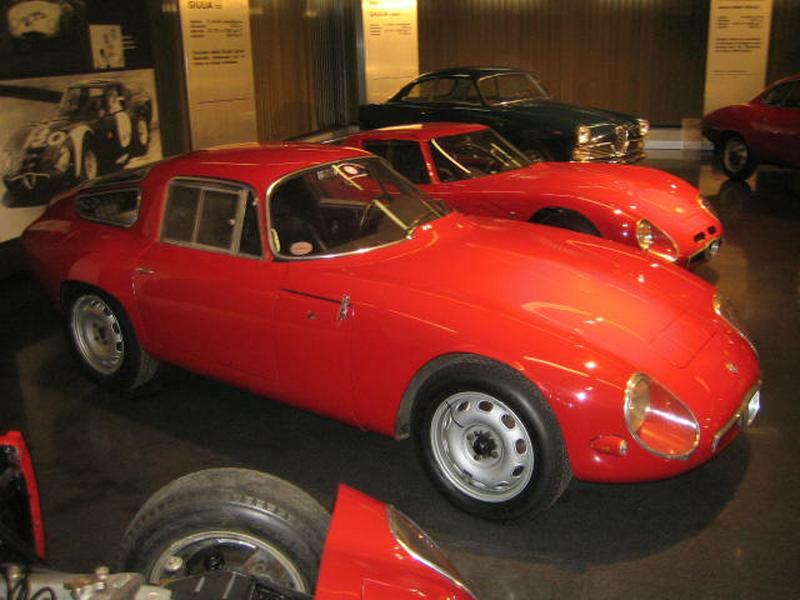 There were only 124 TZ's ever produced of which only 12 are the ultra lightweight ultra low TZ2's. The chassis of the TZ is made of multiple tubes hence the Tubolare (tubular in English) label and this got the weight of the chassis down to a minimal 203 lbd in the TZ1 and a featherweight 140 lbd in the TZ2. 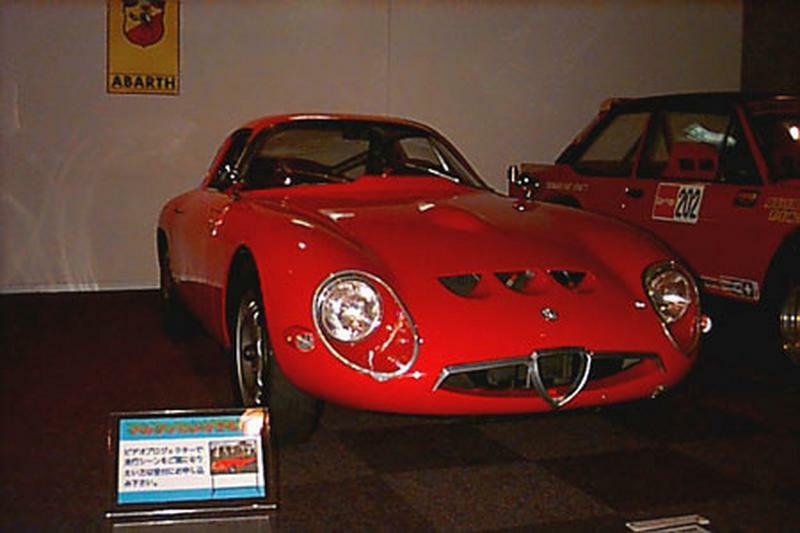 The car was designed purely as a racer and even when fully assembled weighed only 1370lbd (660 Kg) in TZ2 guise which, with a power output of 170bhp, gave the car stunning performance with well over 200 bhp per ton The Camm tail and low frontal area contributing to a top speed well in excess of 135 mph, not bad for a 1600cc car. 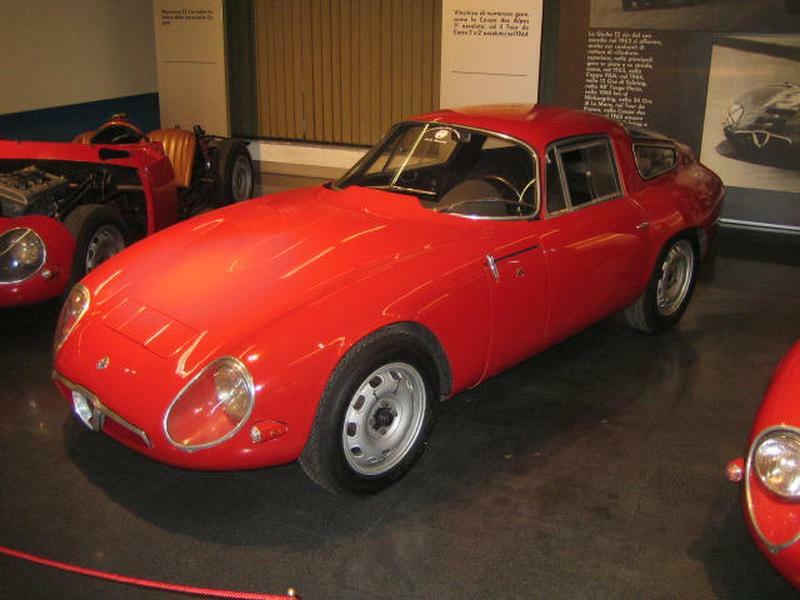 The TZ's all shared the Giulia 1600 engine in various stages of tune from the single plug 116 bhp engine through to the 170 bhp twin spark engine that was later used in the GTA. 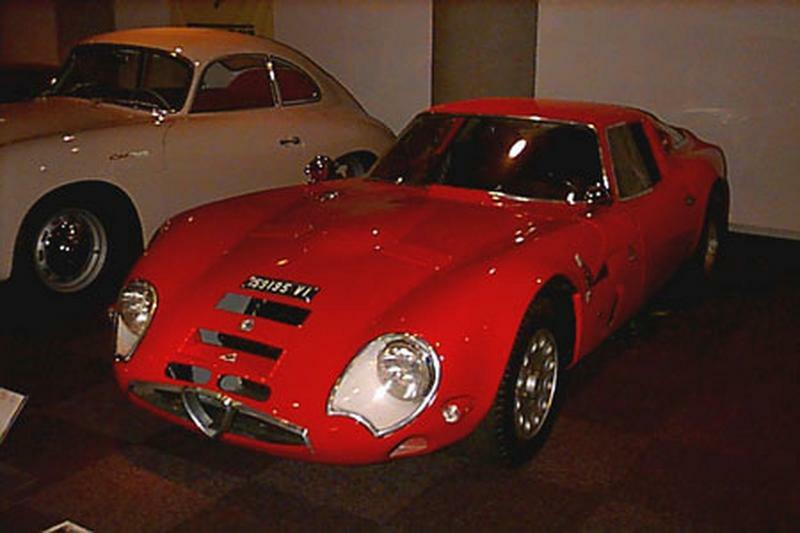 Although this project was started in 1959 it was not until 1963 that the final version of the TZ1 was shown to the public at the Geneva motor show and the car soon showed its metal by winning its class in the 1964 Sebring 12 hour race in its first season of racing. This was the first of many stunning victories probably topped by the outright wins in the Coupe des Alps and the Tour de Corse. The TZ's are all based on the same basic design, a front engine and gear box with a differential mounted on the chassis at the rear, the rear brakes are mounted on the differential to reduce unsprung weight and the suspension is by double wishbone all round. The TZ1 had aluminum bodywork for all chassis's except the last 4 produced which shared the TZ2's fibreglass panels this was; one of the major factors in reducing the TZ2's chassis weight. 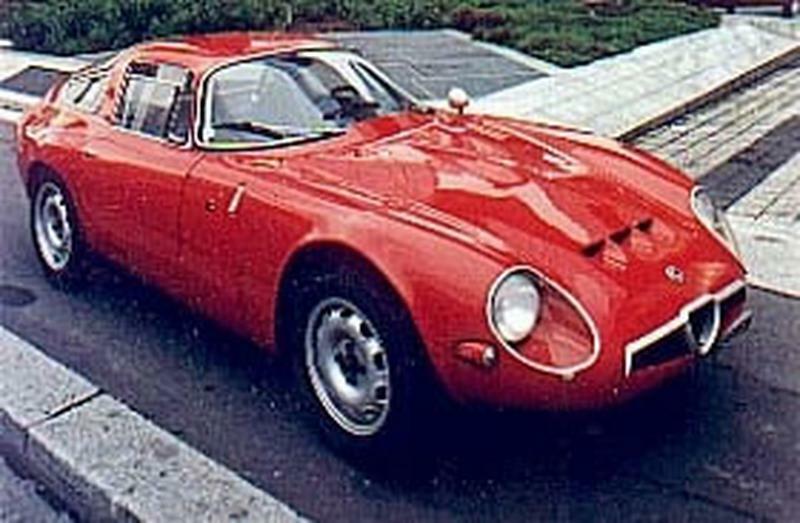 The TZ1 was often raced by privateers including the Jolly Club and the Scuderia Sant'Ambroeus and in their hands it was successfully raced well after the introduction of the GTA. Nowadays these cars are very sought after and are even copied their values reflect this with a TZ2 being worth well in excess of £200,000 if it was to be presented for sale and as such it is well worth having a good look round if you are ever lucky enough to see one.